The Evster: I gotta tell ya man, for me the conversation starts and ends with Ilkka Sinisalo. There’s just never been another Ilkka who was so smooth, so silky and so Ilkka’y. Sure, you could argue that Pelle Eklund was a better goal-scorer, or that Mikael Renberg was better at skating sideways, but neither of them were named Ilkka. Neither was Rick Tocchet. His name was Rick. I looked it up. ZWR: The thing about Ilkka Sinisalo is that, in addition to having a painfully difficult name to spell, if you just quickly glance at his name in print you might think it was Ilya. And that’s just insulting to a player of Sinisalo’s iilk. lol. BOOM, pun time. 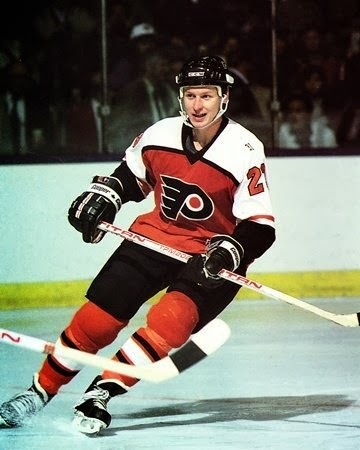 I can tell you that, based on my conversations with people close to the organization, his legend looms large in both the hallowed halls of the Flyers Skate Zone practice facility and the Oulun Kärpät training gulags. In fact, of all the Ilkka’s to have ever played in this city, only Sinisalo is a member of the Finnish Hockey Hall of Fame. Likely that hard-nosed Finnish work ethic you always hear about. The Evster: Can’t find Rick Tocchet’s name in the Finnish Hall of Fame, can ya? ZWR: No you can’t, Evster. The Evster: Now I feel sad for Rick Tocchet. ZWR: Don't people loved him plus he played for the Penguins.